The Lion and Princess Royal, as well as the strongly related Queen mary launched in 1912, were three ships of a new standard, breaking with the Invincible and Indefatigable series. Larger, they opted for a 343 mm caliber, that of Orion class battleships, thus becoming even more formidable hard-pounding ships, still capable to remain out of reach. 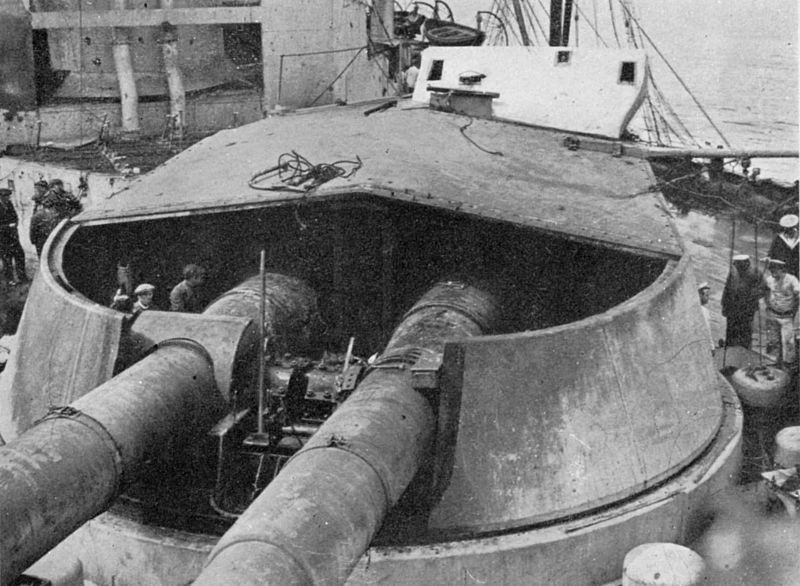 At that time German battleships were still armed with feebler 280 mm artillery pieces. They embodied perfectly the essence of the battle cruiser concept. The hull was massive, artillery was distributed in the same centerline arrangement as the Orion, but machines power was increased by 150% compared to that of Orion. Despite being 29,700 tonnes fully load, they were 6 knots faster than the Orions. This pride turned into propaganda at the beginning of the war, the press exaggerating also their speed figures (alleged peaks of 34 knots) when actually it was only possible on trials for very short periods, and wearing their boilers red hot (to reach a staggering 90,000 hp). In reality, speed remained in service under 28,1 knots. These “beautiful cats”, adored by the press,and despite teething problems were naturally always at the forefront of the action in 1914-18. 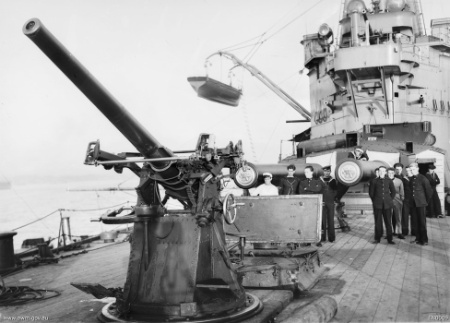 During the war their AA artillery was improved, their mast became tripod and the chimney-heating problem was fixed, their firing range was extended while the torpedo nets were removed. 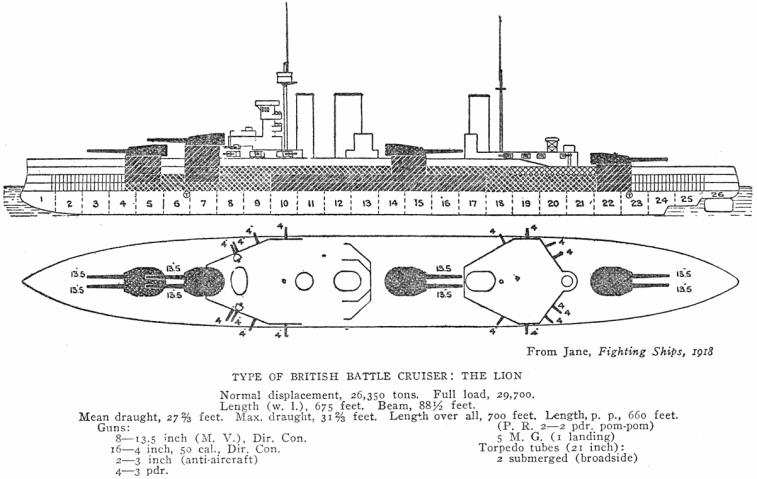 The Lion was part of the 1st battle cruisers squadron (Counter-Admiral Beatty) in 1914. She took part in the Heligoland Bay battle in August 1914 then to the Dogger bank action in 1915, claiming three hits but also conceding three with serious consequences: Stopped dead in the water after its machines were shut down (port turbines damaged) she had to be towed to Rosyth by the Indomitable. Repaired, she became flagship of the fleet and had its moment of truth at Jutland in may 1916. She undergone took no fewer than 13 hits from the Lützow. She escaped certain destruction by the heroism of the only surviving officer inside the bunker that prevented explosion, although badly injured and burned, by ordering through the intercom to drown this section (and drawned with other survivors as a consequence). The Lion joined with great difficulty Rosyth and undergine comprehensive repairs. She returned at sea in September. 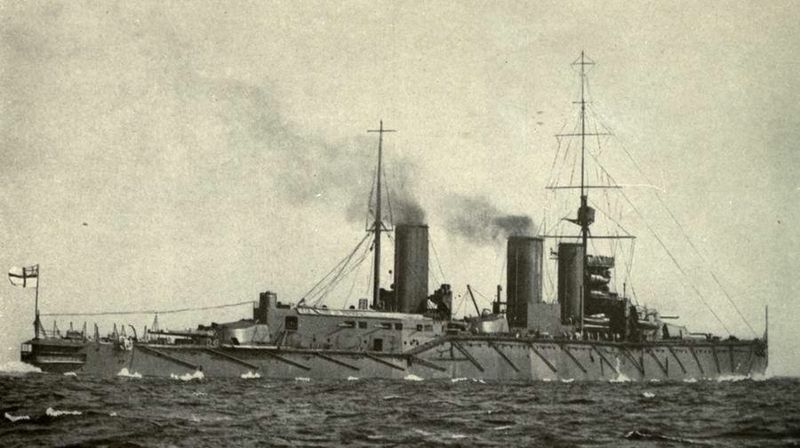 She then made numerous trips until the armistice under the command of counter-Admiral Pakenham. She was decommissioned in 1924 following the Treaty of Washington, paid off and broken. 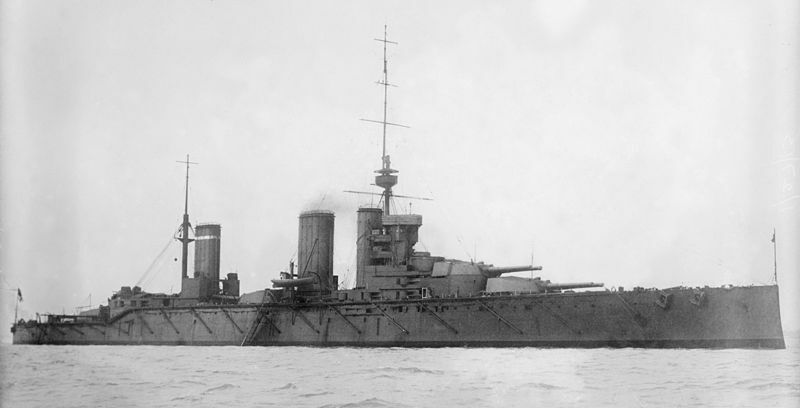 She became flagship of the 1st squadron of battle cruisers in 1914. She fought at Heligoland, was sent to the Far East to intercept Von Spee’s pacific squadron, then came back to the North Sea to participated in the Dogger bank engagement, without damage. However in May 1916 this was not the same music anymore. Targeted by concentrated and accurate fire from Derrflinger, Markgraf and Posen, she took eight hits and had to drown her ammunition bunkers to avoid the fire trigerring yet again an explosion (the fate suffered by the Queen Mary). Despite being still operational and remaining so until the end of the battle with part of her artillery useless she escaped. From Rosyth, she still did a number of missions before disarmament in 1922. The Queen Mary differed in some details: She was slightly faster, bigger and heavier. 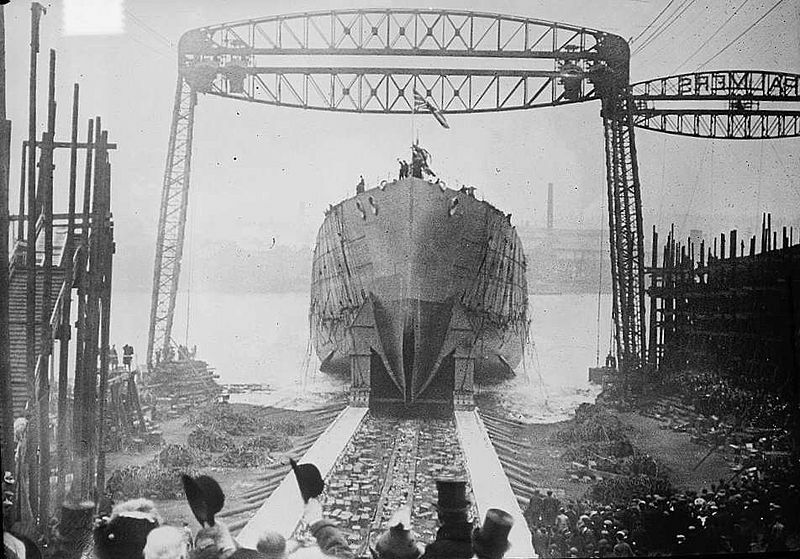 Her late completion (August 1913) was caused by strikes and social troubles in the yard. Nonetheless, she passed her tests successfully, and joined Beatty’s first squadron for the duration of the war. She took part in the Heligoland bay action, but not the Dogger as being in overhaul at that time. 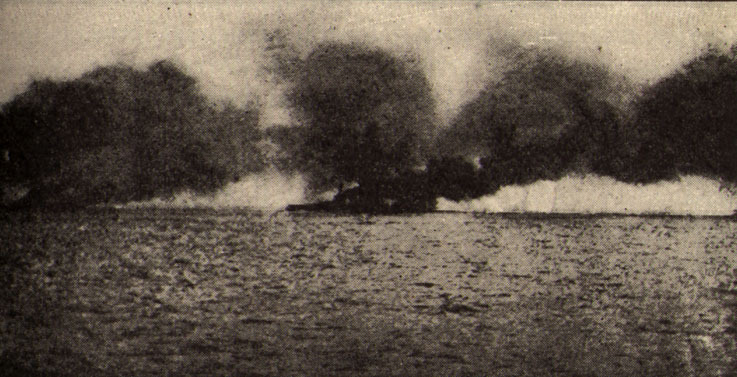 At Jutland she fired about 150 rounds to the Seydlitz, and was attacked by the Derrflinger. The latter responded with a shot in here third turret. Another shell fell, following the same path the same turret, making the jump even though a second made its transition to the ammunition bunkers turrets before. The result was a terrifying explosion that vaporized the entire front, including the footbridge. The ship sank slowly forward while burning inside, with new explosions before sinking with almost all hands 38 minutes after the start of the battle. Armor Belt 230, Battery 230, Barbettes 230, turrets 250, blockhaus 250, decks 65 mm.